Island Mazda near Freehold, New Jersey proudly presents the all-new 2017 Mazda CX-3. The 2017 CX-3 was designed to be striking yet well-balanced and that is exactly what the creators at Mazda accomplished. The 2017 CX-3 features rich body contours, exceptionally short overhangs and blacked out D-pillars making everything about the CX-3 appear agile yet strong. Power and energy in motion is the inspiration behind the design of every Mazda vehicle made. 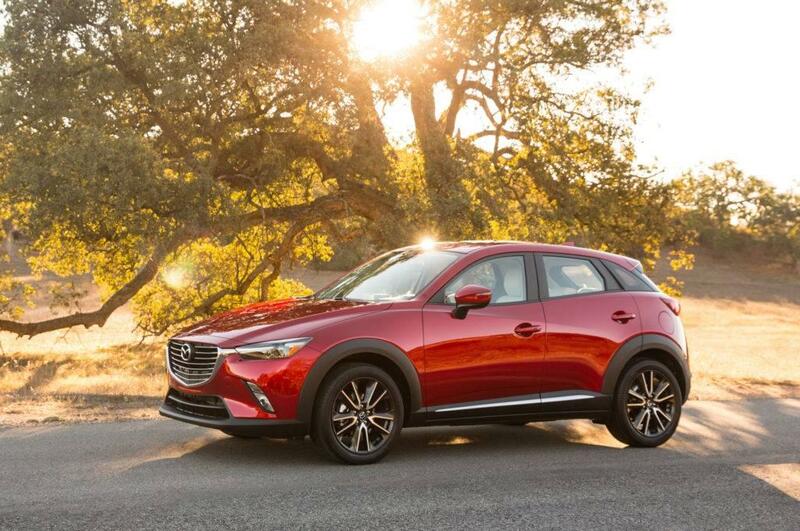 With a fun and feisty runabout with a can-do attitude, the CX-3 Mazda combines style and performance. A 146-hp 2.0-liter four-cylinder and a six-speed automatic with front-wheel drive provide the giddy-up on the 2017 CX-3. Relying on the sport-tuned suspension and creative-weight saving measures helping to maintain Mazda’s unique brand of luxury and pleasure. The sole power behind the 2.0-liter four-cylinder engine that makes 146 horsepower, which is enough to motor the CX-3 to 60 mph in a mere 8.1 seconds. With the combined low curb weight, the 2017 CX-3 earns a competitive EPA fuel-economy 29 mpg city and 34 mpg highway with front-wheel drive, or 27 mpg city and 32 mpg highway with all-wheel drive. The 2017 CX-3 ensures that your stops at the fuel pump will decrease and your hours on the road will increase. With the 2017 CX-3 confidence in your driving becomes better driving. No matter the road conditions the CX-3’s available ACTIV AWD all-wheel-drive system is always on alert, monitoring conditions. This system helps adjust power delivery to help give you optimal traction before your wheels can slip. Drive without compromise in the 2017 Mazda CX-3. Every aspect engineered to maximize your driving experience while maximizing the driving dynamics, as well. The CX-3’s body style was constructed effortlessly to combine engine technology matching your transmission. The 2017 CX-3 offers drivers Smart Brake Support which helps detect objects ahead and warns you if braking is immediately necessary. The system will notice if the driver does not take action and the system will automatically apply the brakes. If you are in the market for a new vehicle head on down to Island Mazda near Freehold, NJ to test drive the 2017 Mazda CX-3 today.